Richmond Hill Mobile Locksmith Services, For quick emergency service when locked out of a car or home, mobile locksmiths can often get the job done within the shortest time possible. 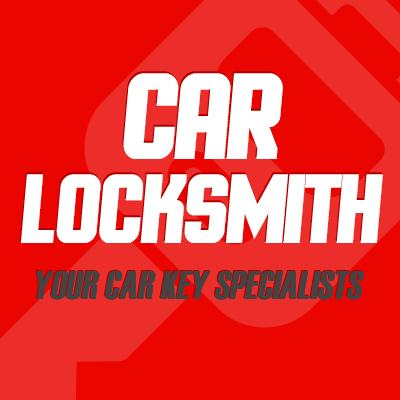 For example, instead of leaving a car, getting picked up by a friend or relative, going home and risk having the car harmed or stolen, a professional locksmith can come to the rescue. These experienced locksmiths can also provide emergency services to home and business owners, saving both time and money. From re-keying ignition locks to helping home or business owners get into a locked building, Richmond Hill Mobile Locksmith is often the best solution. Why suffer the stress of leaving a car unattended or a home or business unsecured? Instead of waiting days or longer for a locksmith to arrive - or possibly even having to go to a store front - customers can have the locksmith come to them. If home keys have been stolen and the homeowner worries about possible break-ins or other dangers, a mobile locksmith service can change or upgrade locks and restore peace of mind and home security. The homeowner doesn't have to leave home first. Any potential burglars will be foiled in their attempts to use the stolen key to open a door. What other types of services can Richmond Hill Mobile Locksmith provide? If cost is a factor, free estimates can be provided before arriving to handle a car, home or business emergency. Even if there isn't an emergency, a locksmith can assess home, business or auto security and make recommendations about how to ensure the maximum safety. Some panicky people try to open doors themselves but many home, business or car locks are now made so that the old methods don't work. Even when they do, cars or other locks can be damaged or scratched and the lock can be broken even further. Do it yourself methods for opening home or business locks also can cause problems. Some locks may wear down, break or need to be rekeyed. In the re-keying process, a new key is made which fits the door lock and opens it. A professional mobile locksmith knows how to handle this on an emergency basis. By examining the lock, the locksmith knows whether a master key or lock-specific key needs to be used (master keys may open a series of different locks, all in the same group of locks). In some cases, a completely new lock has to be installed by a mobile locksmith service. But a master locksmith will give an honest evaluation about whether that option is necessary. After that, using state of the art professional tools, the new lock can be put in place and look perfectly in style with the car, home or business exterior. It helps to know exactly what kinds of services can be completed for each type of need: auto, home or business. Auto emergencies and routine work includes opening locked cars as well as changing, repairing, and installing any kind of lock. Richmond Hill Mobile Locksmith services can also make new auto keys or re-key ignition and door locks. Similar actions can be provided by Richmond Hill Mobile Locksmith Services to meet home and business owners' needs. Whether helping individuals get into locked doors or making or re-keying new locks or keys, the convenience of a locksmith on the go can't be beat.